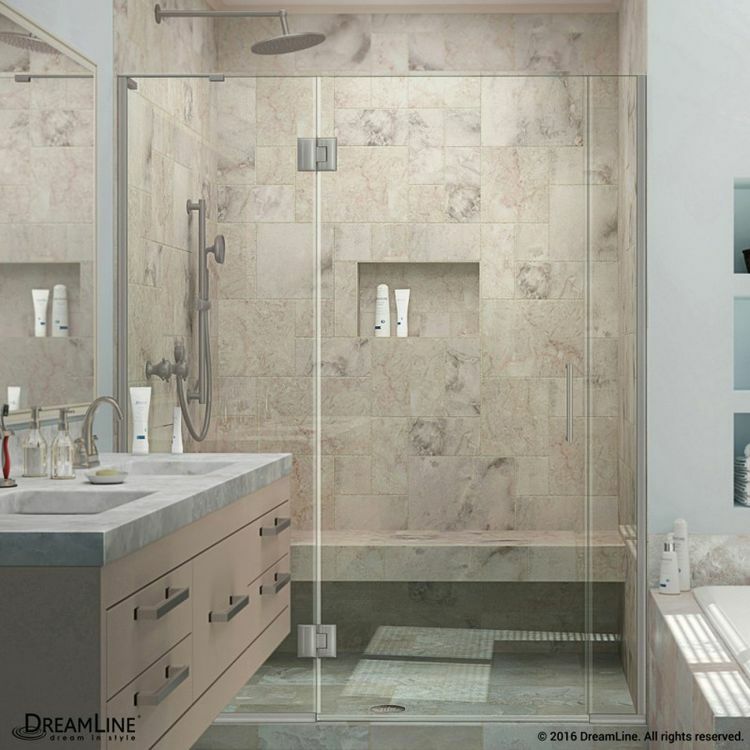 For a matchless gratifying shower, DreamLine designed the D3261472R-04 Frameless Hinged Shower Door to offer unparalleled functionality and a decidedly lavish glam. 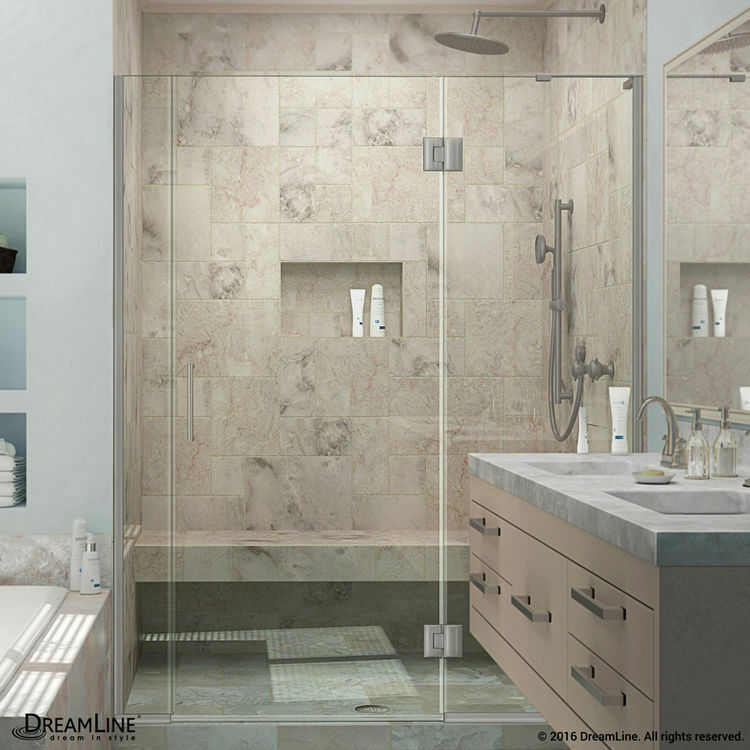 This 64" - 64.5" x 72" shower door is prided by the Unidoor-X collection to be breathtakingly beautiful, bringing a touch of elegance to a seemingly unexciting bathroom. With the crystal airy feel and the occasional bouncing of light off the clear glasses, you could probably shower and meditate in your bathroom for, oh, all day. 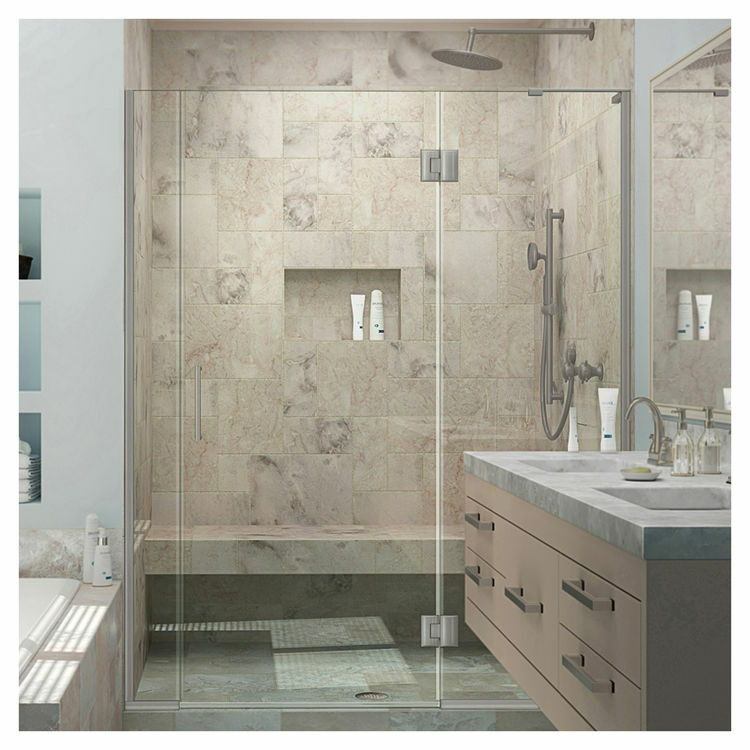 Crafted from premium 3/8" thick ANSI-certified tempered glasses, this shower door is sturdy enough to withstand plenty of everyday use. On top of these is DreamLines exclusive ClearMax coating that makes the glasses resistant to water stains, so cleaning and maintenance are a breeze. To complete perfection, it is graced by a beautiful, stunning brushed nickel-finished hardware. 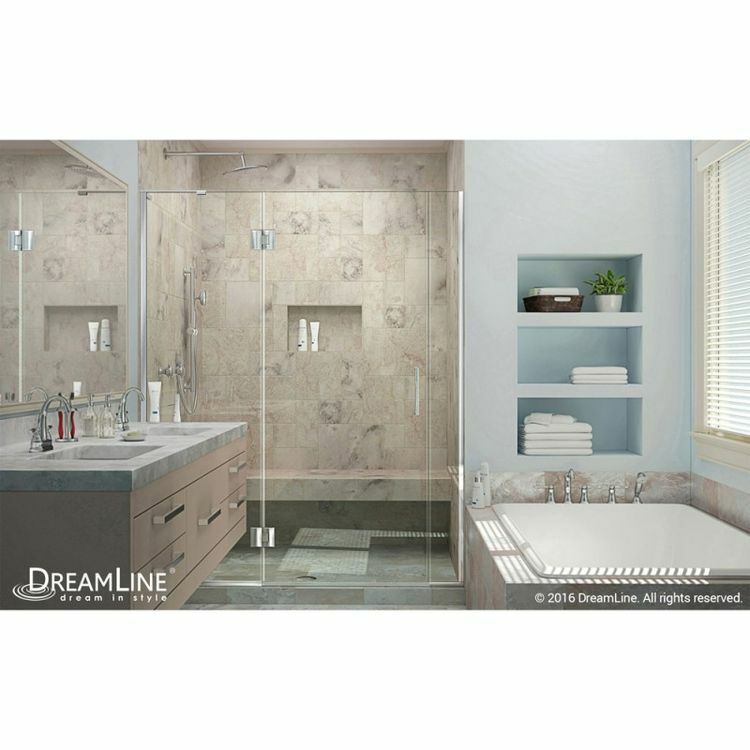 This DreamLine Hinged Door is designed for right wall installation. With its strong, self-closing brass hinges, take confidence that no rusting will take place. Its superior quality and exceptional durability guarantee convenience and comfort even if you have a heavily used bathroom. This DreamLine Swing Door is attached to a 24" hinged panel supported by a 1 anodized aluminum U-channel. It has a 25" wide walk-in opening so in and out of the bathroom is fast and carefree. The inline panel is 14" wide. An L-Bar provides added support without obstructing the clear glass. Because the human eye is wired to scan for exquisiteness, DreamLine has always paid attention to detail. Their intricate artistry has never failed to make the smallest room in your house a much more comfortable and sophisticated spot of your abode. Shipping Dimensions 80.0" x 43.0" x 20.4"
Shipping Dimensional Weight 396.93 lbs.